James R. Case - Mediator & Arbitrator based in Clearwater, Florida. Please click your preferred available date to submit a request. Your Appointment Form will be sent to James' assistant, janice. Most recently, the Clearwater Bar Association named Judge Case the John U. Bird Distinguished Jurist for his high ideals, personal character, judicial competence and service. He also received the Chairman s Award from the Florida Conference of Circuit Court Judges for his "twenty-two years of outstanding service and leadership in the Florida Judiciary." Judge Case retired as an active Circuit Court Judge effective July 1, 2006 and has been handling Alternative Dispute Resolution cases for several law firms. He has completed all necessary requirements to serve as a Certified Mediator for the State of Florida and is a state-wide qualified Arbitrator and Trial Resolution Judge. 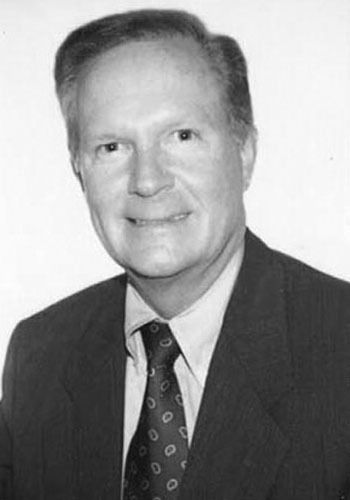 James R. Case received his Juris Doctorate from Stetson University College of Law in 1972 after graduating from the University of South Florida with a BA in Finance and Economics and serving as a Chief Warrant Officer in the United States Military Intelligence. Judge Case demonstrated his commitment to the court system by serving and leading numerous judicial organizations. He was appointed by the Chief Justice of the Florida Supreme Court to the Florida Judicial Council, the Florida Court Education Council and the Article V Task Force for the State of Florida. From 1989 until 2006 he was a member of the Executive Committee of the Florida Conference of Circuit Court Judges, a statewide organization responsible for education, policy, legislation and programs for the over 600 active and retired Circuit Court Judges in the State of Florida. During that time he served on the Legislative Committee, on the Strategic Planning Committee and as the designate to the Florida Council of 100. In 1994 he was elected by his colleagues to serve a one year term as the Chairman of the Florida Conference of Circuit Court Judges after serving for a year as Chairman-Elect and a year as Secretary/Treasurer of that organization. Judge Case remains active in the Florida Bar Association, where he formerly served on the Criminal Rules Committee, and by Chief Justice appointment, as a member of the Commission to Guarantee Adequate Funding for the Judiciary. Judge Case was also active in the Judicial Division of the American Bar Association where he was Chairman of the National Conference of State Trial Judges and a member of their Executive Committee for over eight years. Judge Case was selected as a member of the Leadership Florida's Class XII and served on the Advisory Board of Directors of Pinellas Emergency Mental Health Services. He is a Past President of the Pinellas Inns of Court and was a member of the St. Petersburg Junior College s Criminal Justice Institute Advisory Committee. He was appointed by both Governors Martinez and Chiles to the Florida Crime Laboratory Council of the Florida Department of Law Enforcement, and served as its Chairman for 12 years.